Welcome, Chris Cielo, a versatile dancer with over a decade worth of experience and his roots buried in hip-hop. Chris has an impressive catalogue of achievements, having battled and performed at many of the world’s most prestigious dance events just to scratch the surface. 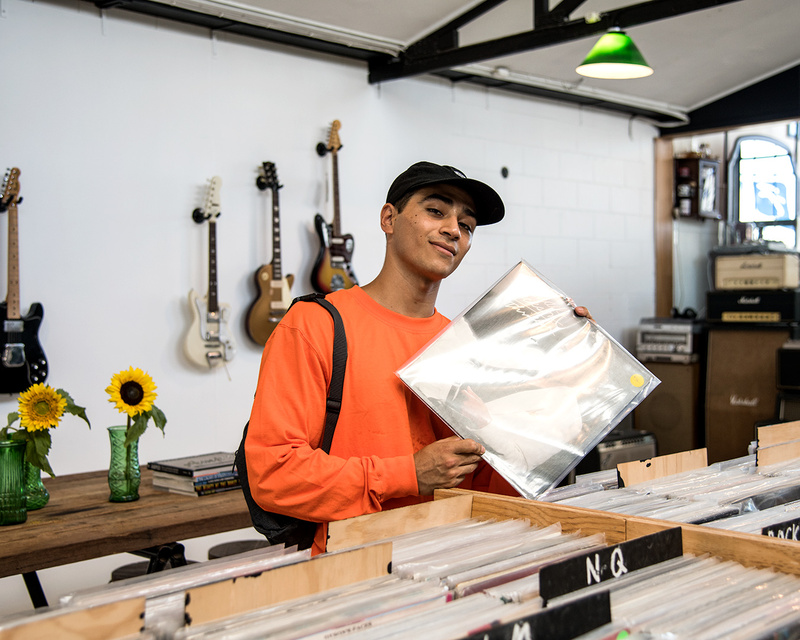 He's internationally recognised amongst the dance scene and stands out for his unique and innovative style that is all things physical, articulate, flowing and constantly evolving. 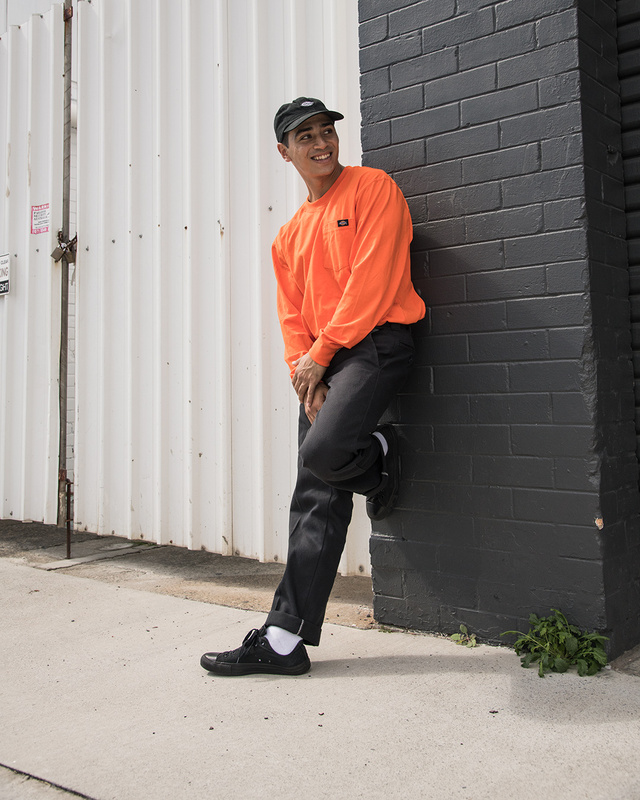 We caught up with local and Dickies ambassador Chris for a chat. So Chris, tell us about yourself, your crew and how you got into dance? I’ve been dancing for over 10 years. 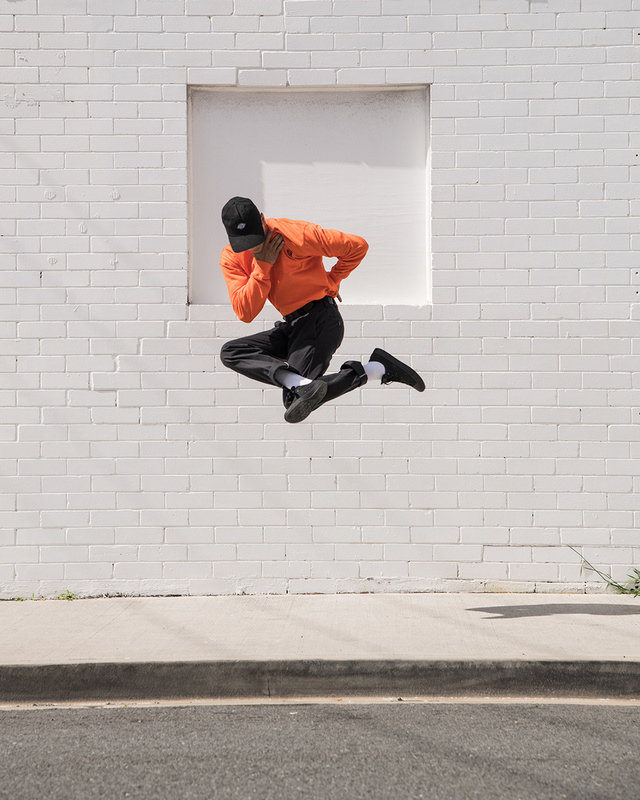 I am a dancer in Australia’s number 1 Bboy crew "Team Cream" who have been around for 5+ years, won countless interstate events and have also represented Aus in many international competitions around the world. I am also a member of a creative collective called Golden Coastline. GC is home to freestyle/choreography dancers, singers, producers, skaters, and photographers/videographers. We host events and jams for the street dance and arts culture. What do you like about the Australian dance scene? I like that it has it’s own loose and crazy style as we don’t really have a certain type or style of foundation, unlike many other countries. It makes us more hybrid because we mash up a lot of different styles and make it our own. How does Australia compare to the international dance scene? As a nation, we still haven’t reached the world level yet. However, there are a few individuals that are breaking through the international scene with their own unique style. Also, the scene here is more connected (IMO) and friendly. Perhaps because it’s smaller, but it’s always a good vibe. Where is your favourite place to dance in Australia and Overseas? My favourite place to dance is at Team Cream Studios because it’s where the whole crew gets down and has fun. Everyone is always positive and motivated to improve their skills. At Team Cream Studios we teach a lot of younger kids, it’s great being a part of bringing up the new generation. One of my favourite places to dance overseas would be Europe. They are really "high level" and have a so much love for the street/dance culture. Who are you influenced by in the scene and life in general? In the scene, I look up to my crew as they are all such inspiring and supportive individuals. 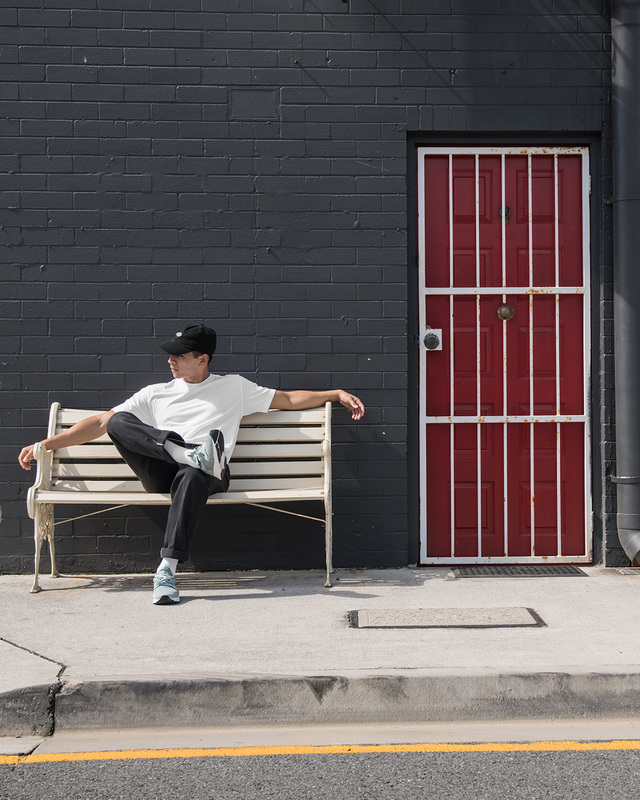 I'm also liking BBoy Cloud from the USA at the moment, he has such a dope style and unique steeze. In life, I look up to my mother, she is a strong, caring, talented and independent woman. I am also influenced by people like Pharrell, Tupac and Michael Jackson as they are all very creative unique people. I'm always focused on the art and musicality. As for my style, it's very hard to describe as I am constantly trying to evolve and innovate my movements. I would say it’s a mixture of smooth, abstract and flexible movements. I also like to incorporate high-energy blow-ups mixed with technically intricate moves. Dancing is a physically demanding and challenging art how do you like to challenge yourself? I’m constantly working out and conditioning myself. It’s all being fast and swift so I like to train callisthenics and do yoga to stay flexible. You're a busy man Chris! So other than dancing what occupies your time? I have been pushing my creative skills lately, getting into photography and art. Hopefully, I can sell some of my work in an art exhibition myself and friends are hosting. I've also been getting into the fashion game recently and hope to launch some T-shirts this year. I’m constantly working on my crafts so it’s rare to have any downtime but when I do, I’m usually at the beach with my girlfriend, travelling and exploring. I enjoy watching documentaries and dance events on YouTube and, of course, kicking back listening to music! What would you consider a career highlight/achievement? Being able to live off my skill and passion. Whether it’s being a part of a commercial, teaching, performing or winning battles with my crew. I've also had an amazing opportunity to represent Australia in one of the world's most prestigious BBoy events called R16, which is held in South Korea. And now, of course, partnering with Dickies! Tell us about what’s install for you in the year ahead? This year is by far one of my busiest years yet! The dance life has been full on. I’ve been teaching and training hard for some overseas events coming up. Visited Singapore in March for a big international comp called Radikal Forze which was amazing. I have also been doing gigs and shows with my crew which is a great way to earn money by doing what I love. I want to work on filming more visual/dance videos and hopefully make a short film to submit to a film festival soon. 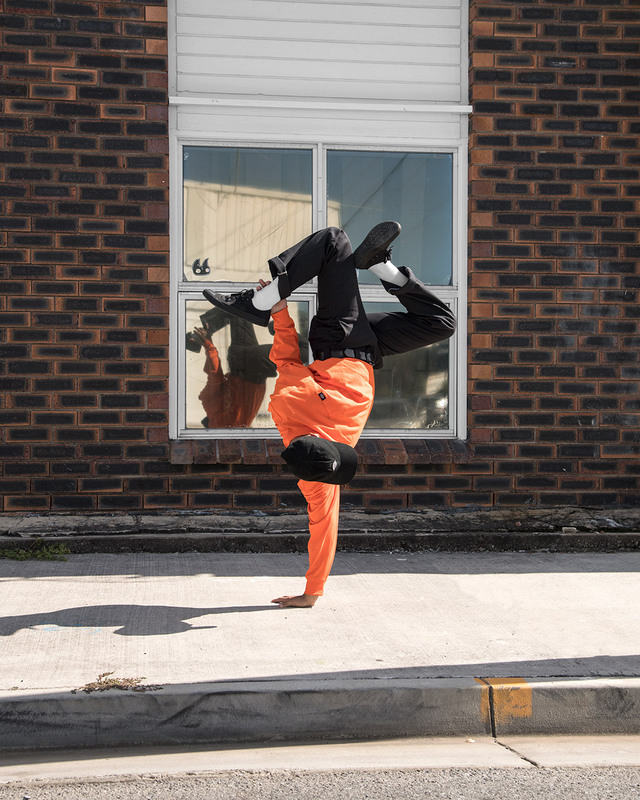 I also want to run more street dance events in future as it’s a great way for the dance scene to connect and level up. Thanks Chris, It's always a pleasure chatting and working with you! You can follow Chris on Instagram here, and check out his YouTube here!